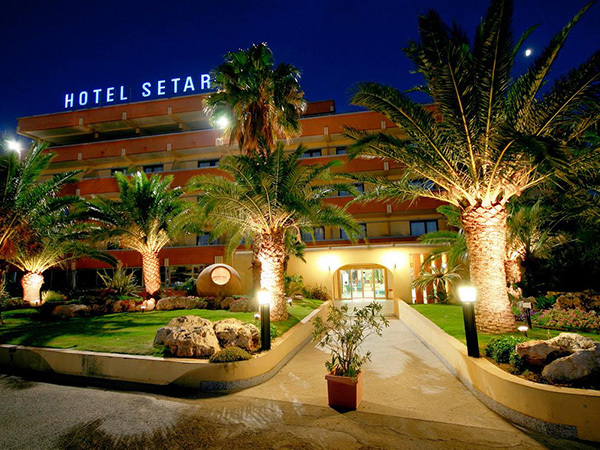 The Setar Hotel Complex is situated in Quartu Sant’Elena in the S’oru ‘e Mari area on the coastal road for Villasimius. It lies at just 12 Km from Cagliari, 18 Km from Elmas Airport and is unique to the area. The complex is made up of: a 4-star hotel, an apartment wing, a Congress Centre and a Sports centre. Our position near the sea just outside the town centre guarantees our guests all the advantages to be gained from being near to the centre in terms of business, culture, services and shopping while at the same time enjoying the peace and quiet of being close to nature.